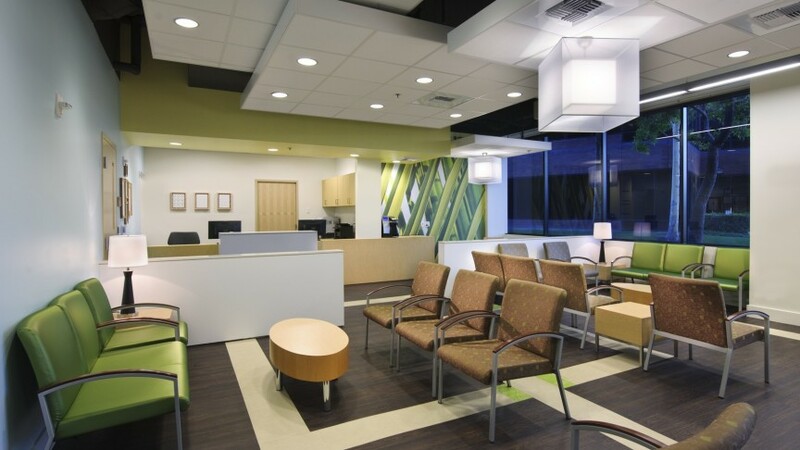 The La Veta Surgical Center needed a more spacious facility due to a high volume of patients. The 14,000 s.f. 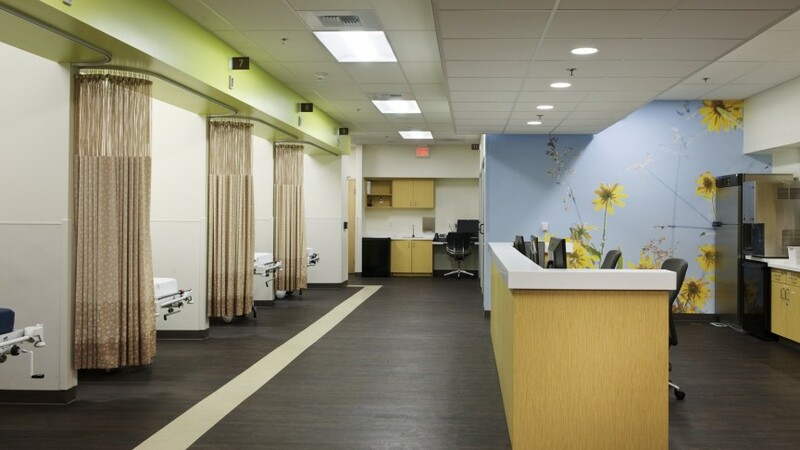 center boasts five ORs, 19 pre-op and recovery bays, and two 23-hour recovery rooms. The tenant improvement project's interior design features a modern California aesthetic. Crisp whites contrast with warm wood tones and fresh color accents. A dedicated children's area in the waiting room is flanked by a large saltwater aquarium. 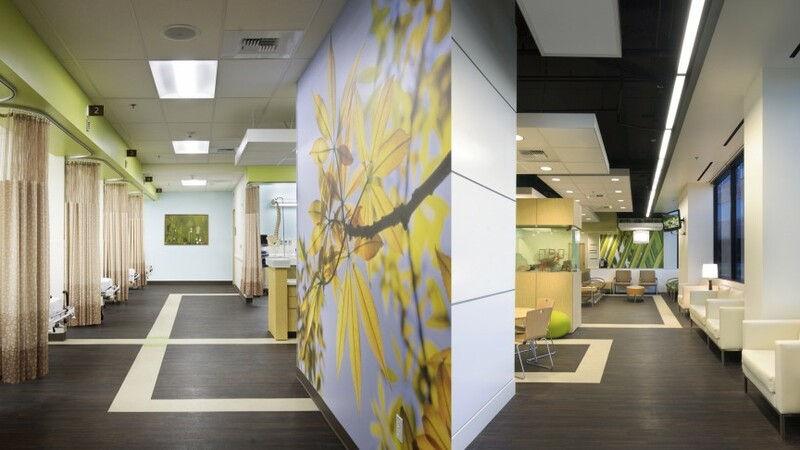 Large environmental graphics of nature photography aid in wayfinding and serve as a positive distraction for patients and family.